Some flower baskets are unfortunately gone because flowers were dead, and some new ones joined. 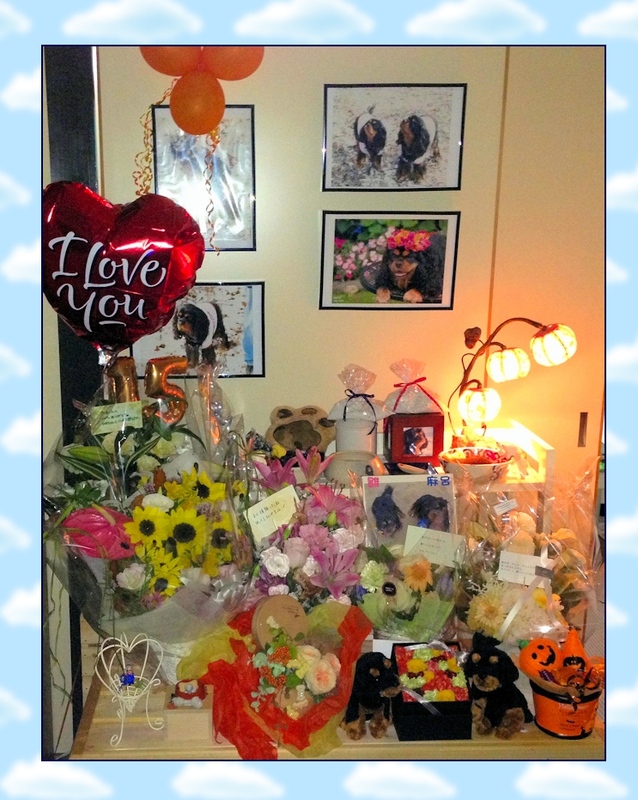 Tons of thanks who gave Maro such beautiful flowers ! I thought Maro and Hina's keepsake boxes should be the same ones, so I tried to look for exactly the same one, but it was kind of hard. Since Hina's box is from 2009, the box may be discontinued or.... Then, I found it !!! How I placed an order was kind of cool - it was a chat order. It was so easy & speedy, and has been already shipped to Japan! This is Mama Hina's from 2009. 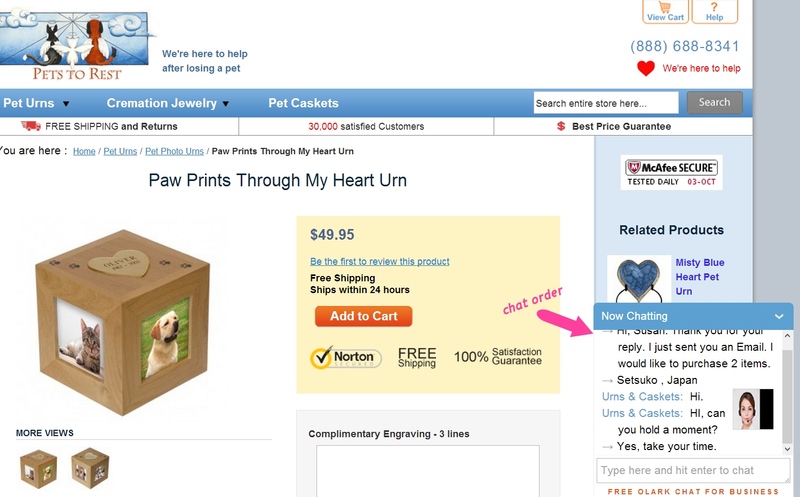 What I really like about this keepsake box is, it has paw prints on top of the box and a heart shaped name plate with beloved dog's name and the dates. And 4 favourite pics can be around the box. This is the best one I've ever seen! And... I ordered one more item. 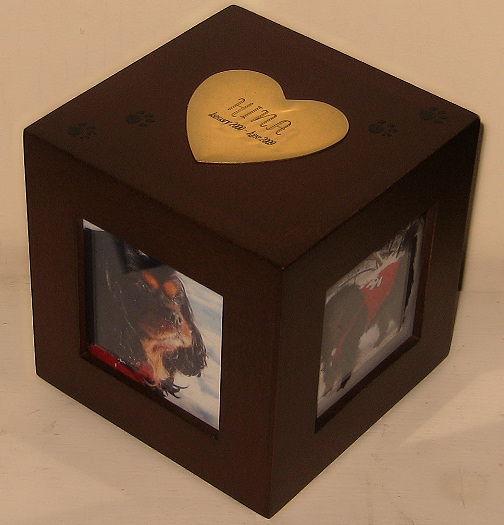 This is a keepsake music box I purchased for keeping Maro and Hina's locks of fur. Now, Maro will have the place to settle right next to Hina. I had this keepsake pendant with Hina's ashes since 2009. Now Maro's ashes are added, and they are together. In Japan, some houses have altars for their ancestors. 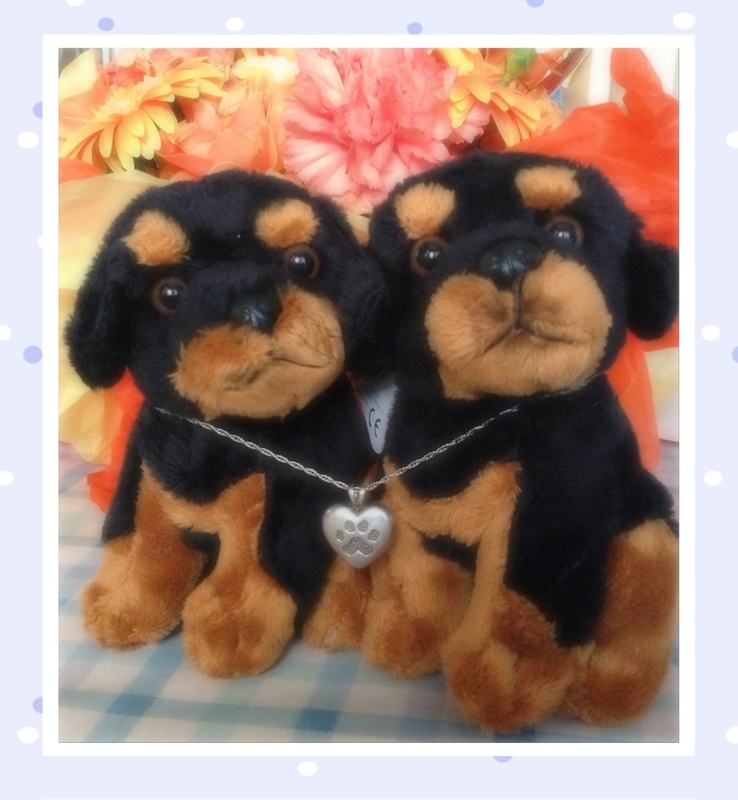 As a same concept, many dog owners have the same things for their dogs who passed away. 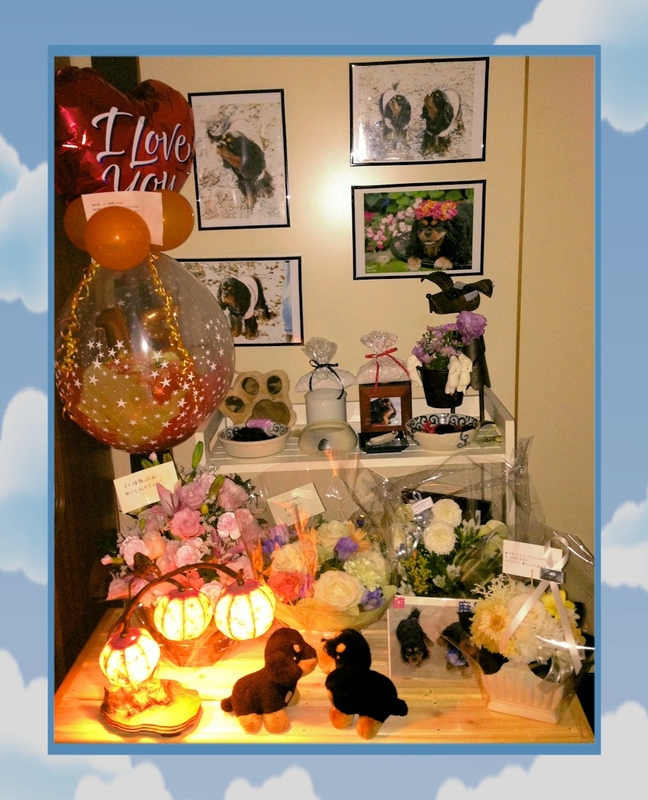 A small table is decorated with pictures of the dog, some flowers, snd incense and/or a candle is placed next to beloved dog's urn. Also often placing offerings such as doggie treats. 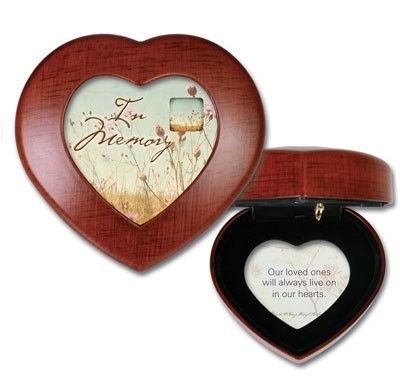 Many dog owners have a memorial box that has a lock of fur, as a keepsake. 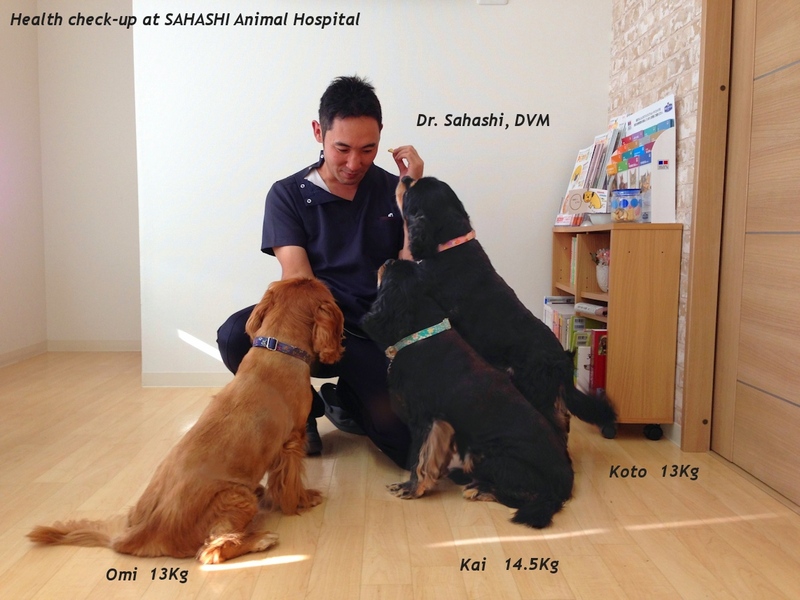 I have Mama HINA's and papa MARO's. Altar is such a good idea - we can look at their faces and talk to whenever we miss them. Maro's ashes in the urn and a lock of his fur have been added to mama Hina's altar table. It's decorated with many bunches of flowers that some dog friends sent him.which is very nice. Thanks everybody! 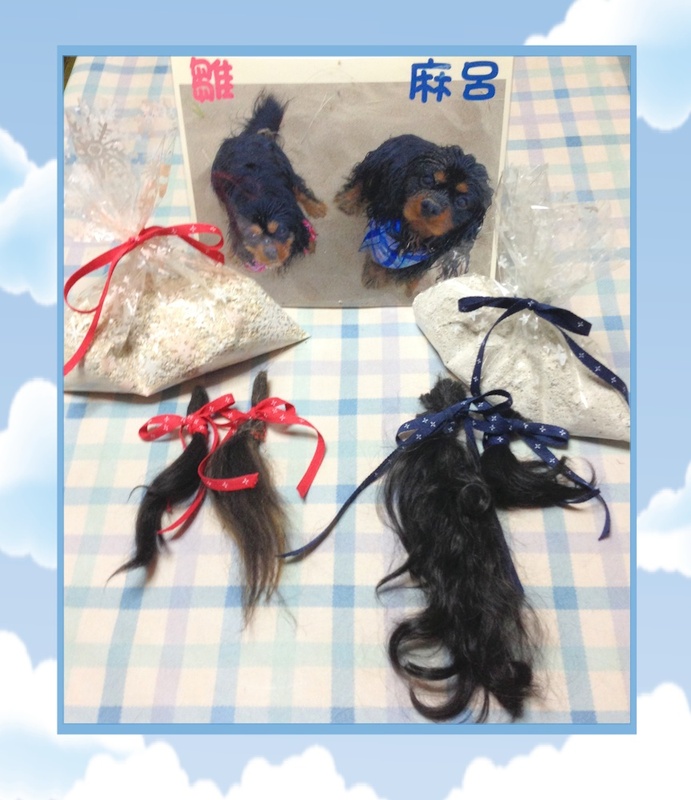 Great keepsake of beloved Maro & Hina - Their ashes and locks of their fur.